Tired of the same old fundraising ideas? Let As You Wish provide a unique, creative and interactive opportunity to raise funds and bring your community together. Families, friends and others can participate in a variety of projects that will not only achieve your fundraising goal quickly but also beautify your campus, office, playground or place of worship. As You Wish can bring the FUN to you! We’ll provide everything you’ll need, and host the painting fundraiser at your facility. Click below for a list of our off-site fundraising projects and options. Tile Walls make fabulous public art projects for your facility. 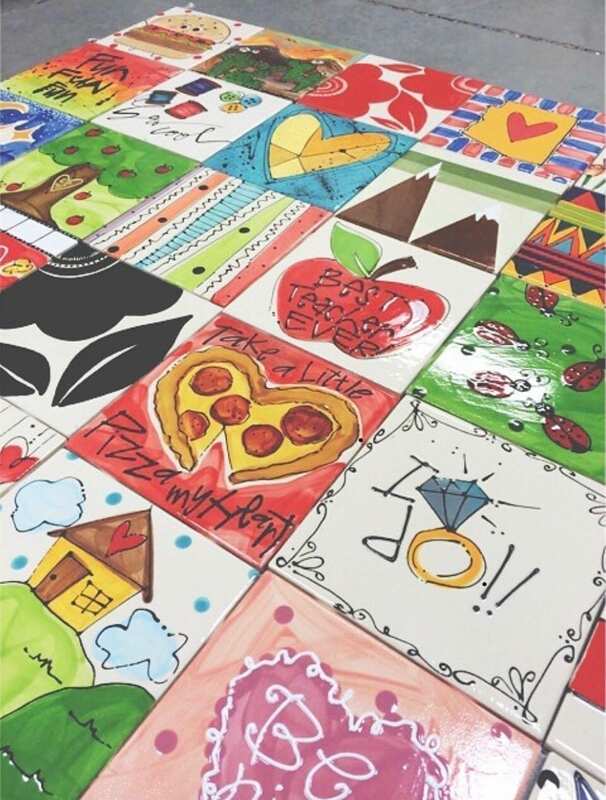 As You Wish will sell you the tiles, paint, glazing and firing at a discounted price and you can sell them to donors or painters at a mark up of your choice. Contact your local studio for more information. 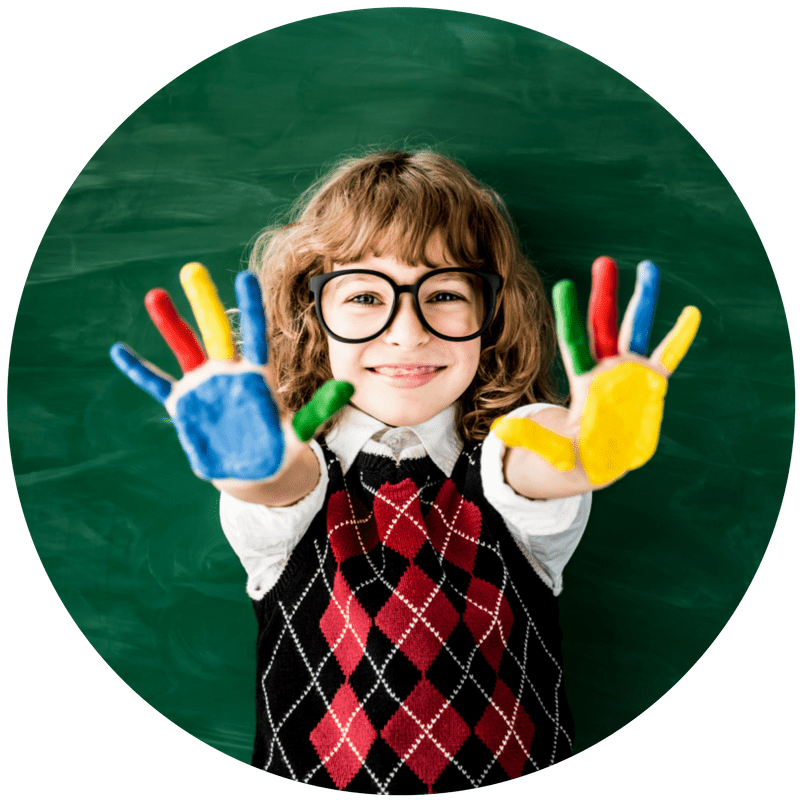 If you are a non-profit organization with a valid tax id number, we will donate to your organization Fundraising Family Fun Passes that have five pre-paid studio fees. 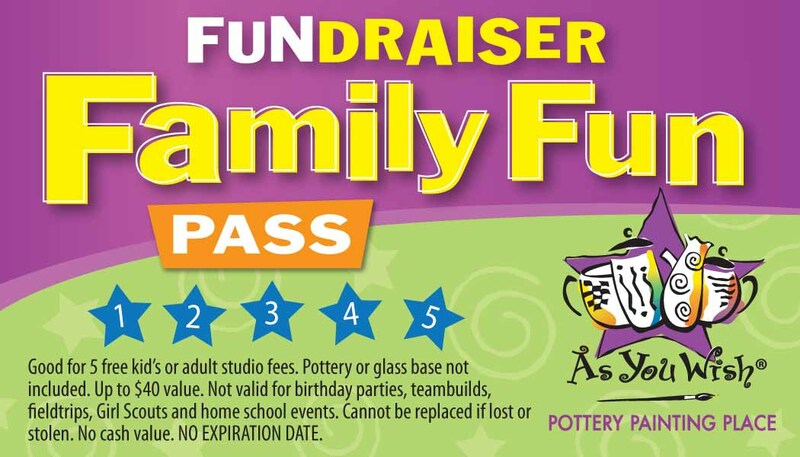 You can sell the Fundraising Family Fun Passes at a profit of your choice (they are valued at up to $37.50). Your group keeps the profits and those who buy the Fundraising Family Fun Passes will enjoy pre-paid studio fees. It is a great way to earn money for your group and let your supporters have some fun at As You Wish! Simply fill out the donation request form below to get started! 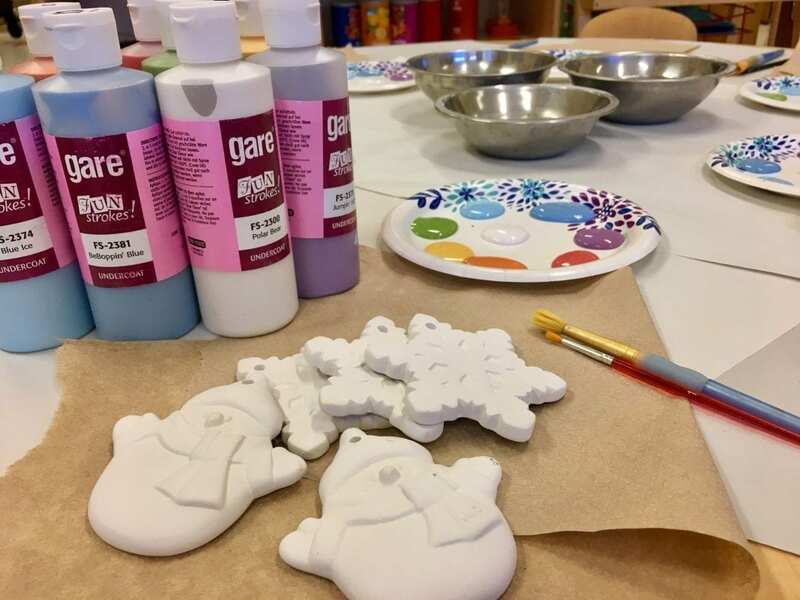 Many groups choose to paint items for silent auctions. We have all the creative tools to assist you whether you choose to paint it yourself or have our custom artist paint it for you. 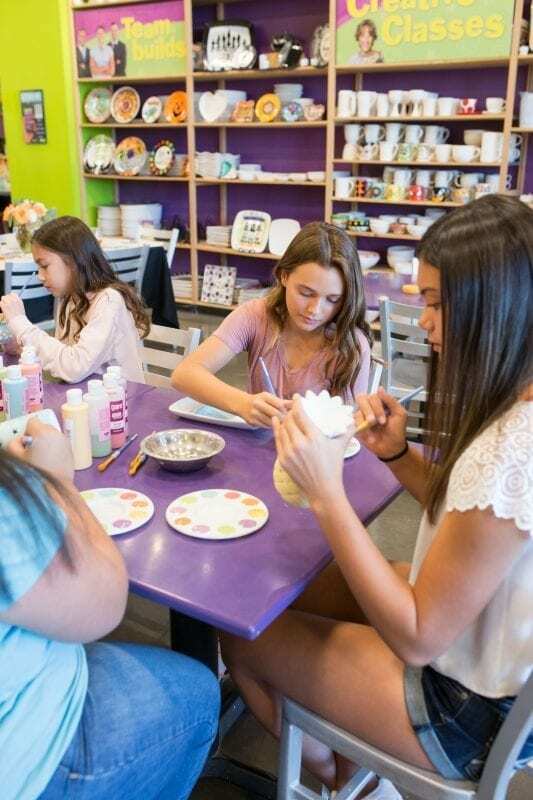 As You Wish will donate paint and glazing and firing fees if your organization has a valid tax id number for donation purposes. 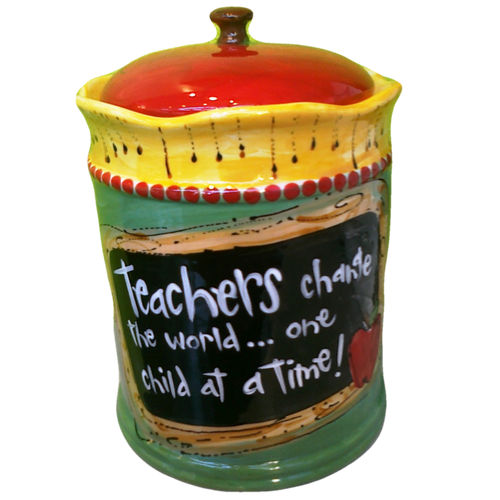 You’ll see dollar signs at your silent auction with hand painted pottery pieces from As You Wish!